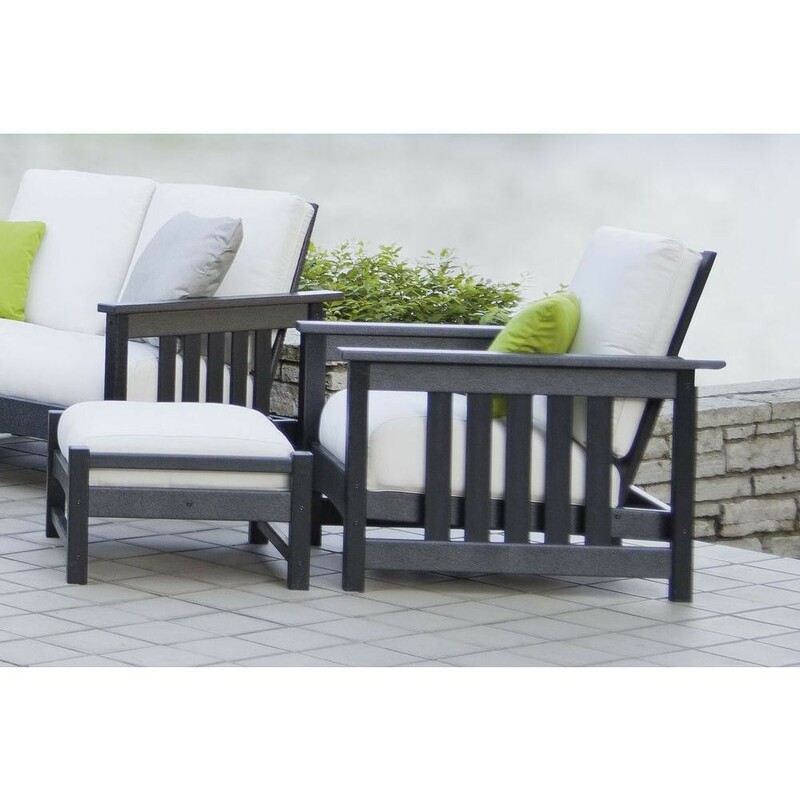 Settle in with a book or a big glass of iced tea when you add this POLYWOOD Deep Patio Seating Set to your back yard, solar, porch, or outdoor room. 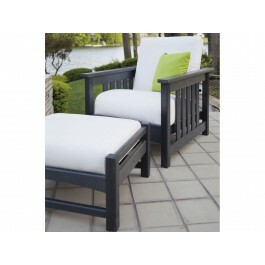 This deep seating set features an incredibly comfortable patio chair with a matching ottoman. Both the chair and ottoman come with their fluffy, pillowy cushions so that you can enjoy your chair for hours. 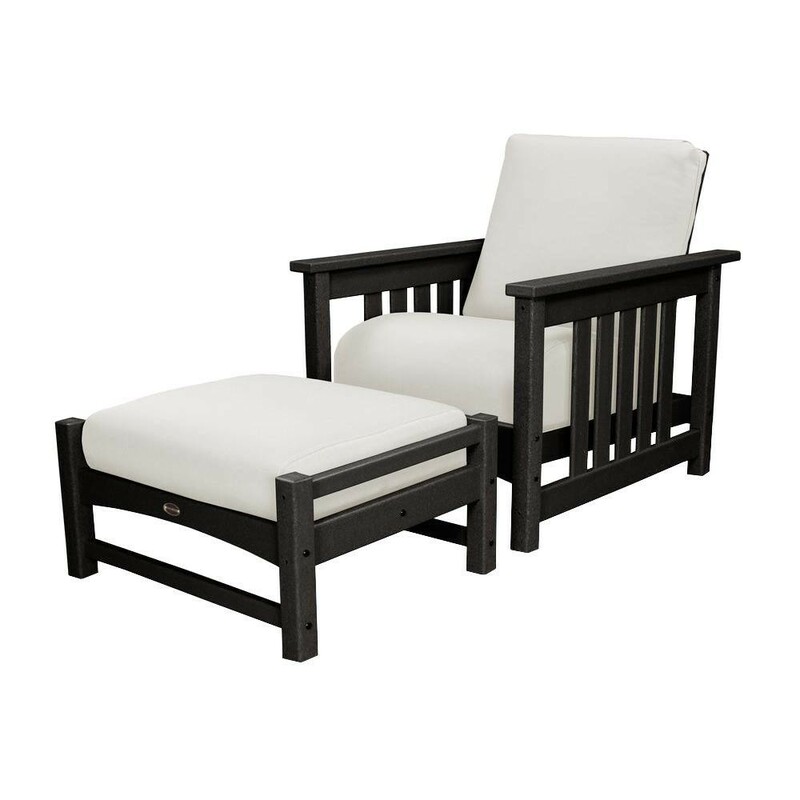 Your chair comes designed for outdoor living, from the fast-drying marine grade Bird's Eye fabric cushions which resist weather, sun, salt, and mildew to the tough, built-to-last POLYWOOD frame which won't ever rot, lose its color, splinter, chip, warp, or fall prey TO insects. And if you're looking for an eco-friendly patio seating option you won't be disappointed. POLYWOOD is made with recycled HDPE plastic, completing the cycle between your recycle bin and a finished product. It's also made right here in the USA, so you'll be supporting American workers while enjoying their passionate ingenuity. POLYWOOD is also stain resistant. It can even resist wine stains, and it's easy to clean with soap, a little water, and a soft bristle brush. You can expect this set to last for twenty years or more. So go on. 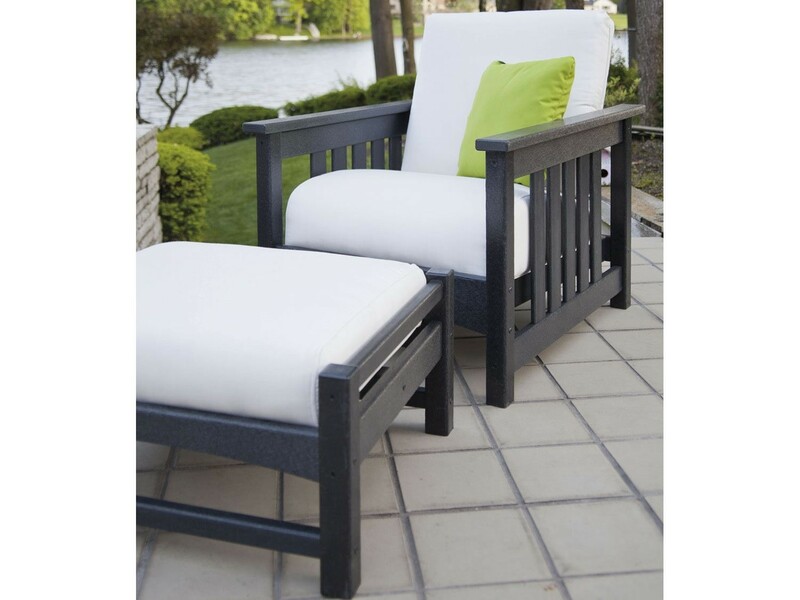 Order your 2 piece patio seating set today, and enjoy.